The idea of celebrity is slightly depressing. In a perfect world, our own lives are so interesting and full and captivating that we don’t have six to eight hours a day to focus on the details of someone else’s life — a someone whom we will never meet. But here we are, all guilty, all at different degrees of obsession. If you’re lucky, you can pick what facets of celebrity engulf your entire being. But there are undoubtedly times when you simply have no control. 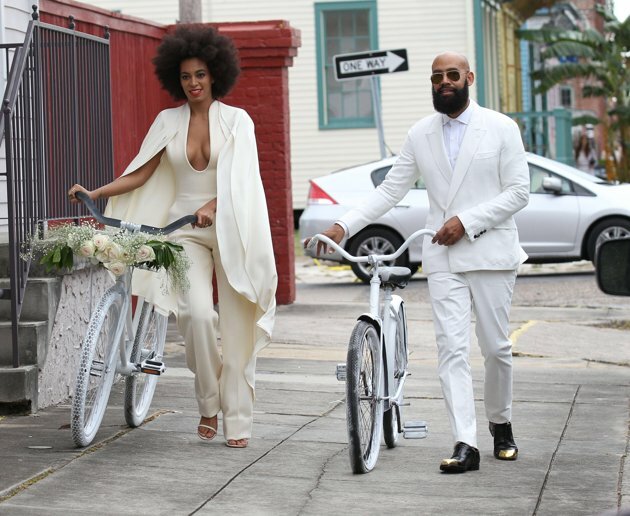 Solange Knowles’s New Orleans wedding this past Sunday was one of those moments. Seeing this image pop up on the Internet Sunday afternoon, by way of Vogue and photographer Rog Walker, rendered me completely defenseless. Because this is, without a trace of hyperbole, royalty. When I see this picture, I see the newly coronated queen of planet New Houstafrica in the middle, her mother, the strong, former benevolent queen to the right, and the new queen’s sister to the left, waiting for her chance to one day lead her people. After staring at this for 10 to 12 minutes, you realize other things. For one, that there are eight other phenomenal women in this photo. Also, there seems to be a theme to New Houstafrica, that being all white or a cousin of cream. 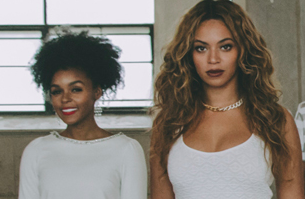 Thirty-five minutes later, you realize that to the left of Beyoncé is Janelle Monáe. The important women in my life were unanimously thrilled with every single aspect of these wedding photos. Knowing that — yes — your wedding attire can involve a cape. And yes, your wedding party can look like District 11 took over Sag Harbor. But this was only the first image. There were more, from the actual wedding. And Solange had an entirely new outfit to display. Yes. That’s a cream jumper, with the top on full elegant vase sideboob Rorschach, under yet another cape. And yes, she and new husband Alan Ferguson have white bikes. Because at this point, they deserve anything they want. Even though there are always bad seeds attempting to find fault in everything, even an affair as beautiful as this, for a moment it was one of our four to five yearly occasions when negativity is temporarily banned from the Internet. For one evening, things were good. And I couldn’t help myself, so I kept digging for more info and more photos. And even when I knew I’d seen every picture, I kept looking. 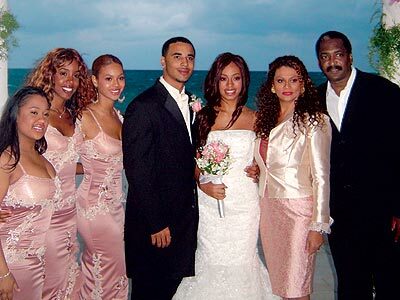 Because I wasn’t going to be satisfied until I’d seen the Knowles-Carter family at every angle. This Mr. Carter look is a Mr. Carter look that I sorely want to pull off — a look that I can’t pull off for maybe a decade. But it’s why we have heroes. And goals. And vision boards. At one point, I was in so deep that I typed “solange” and “wedding” and “spades” into Twitter, just to see if there were any images of spades being played at Solange’s wedding. There weren’t. On my third trip through #SolangeWedding on Instagram, just making sure nothing new had surfaced in the previous five minutes, my head exploded. It literally exploded. Because I’d spotted friends of mine in a photo from the wedding. And they looked so happy. 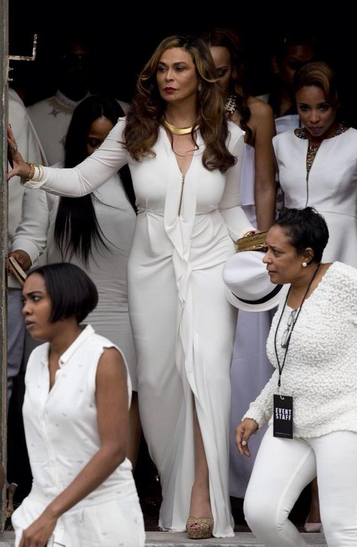 Which made sense, because they were at Solange’s wedding. Realizing that it was Sunday evening, it hit me that they were definitely still at the wedding. So I sent a text their way, expecting not to hear back until the next day. An hour later, I heard back. The first line of that text. In any other context, I would have thought this was a new clothing line. But because it was a wedding, I was forced to assume that Tina had something to do with the gumbo, which really cut deep. Yes, the celebration of love was happening, and yes, everyone looked incredible, but TINA GUMBO? Well, not “reportedly.” It 100 percent did (note: outift #3) and is as Alvin Sremmurd Ailey as you’d expect. BUT GUMBO DE LA CELESTINE? That’s the moment when, just for a second, you become angry that you weren’t someone’s plus-1. Or that your mom and Tina don’t go way back. Or that you weren’t a day-one House of Deréon investor. 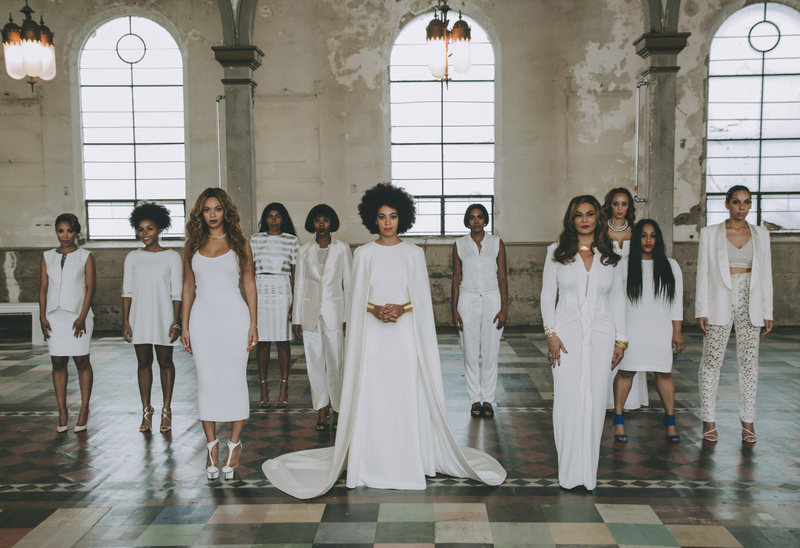 Just anything that would have gotten you in the building for Tina’s gumbo with a cameo by Solange’s wedding. But that anger lasts for only a second. Then you go back to being happy that all of this took place. And then you open #SolangeWedding and scroll down, smiling, until your phone dies.